SARASOTA, FLORIDA, December 22, 2017 – Home sellers in our region have begun preparing for the upcoming 2018 selling season, as seen in the spike of new listings of Manatee and Sarasota homes for sale for the month of October. Newly listed Sarasota condos for sale increased by 8.8 percent for the month, while October listings of single family homes in the county was up 4.3 percent compared to a year earlier. SARASOTA, FLORIDA, December 21, 2017 – The whole of Lakewood Ranch is headed for a record year in 2017. LWR Communities reported that with just a month left for this year, its home sales have risen by 50 percent to 1,050 units sold over the year-earlier level. 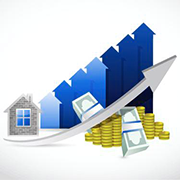 This new record surpasses the 2004 sales of 1,023 homes during the housing boom. SARASOTA, FLORIDA, December 14, 2017 – Price-conscious home buyers, particularly retirees, are injecting vigor to the residential property market in Charlotte County, especially in historic Punta Gorda. This was one of the observations of industry analysts during the 7th annual Market Trends, an event organized in November by the Lee Building Industry Association and Collier Business Industry Association at Miromar Design Center in Estero. 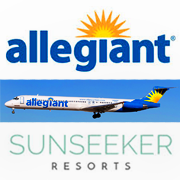 SARASOTA, FLORIDA, December 10, 2017 – Allegiant Travel Company, known for its budget airline Allegiant Air, announced in November that it is starting to take reservations of prospective buyers interested to purchase units in its planned condominium-hotel project in Port Charlotte. From its plans revealed earlier, it looks like this venture could resonate even amongst players north in the Sarasota real estate market. 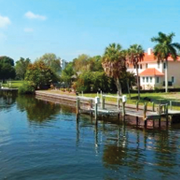 SARASOTA, FLORIDA, December 6, 2017 – Market activity in the Riverview Boulevard neighborhoods has picked up momentum recently, with a new crop of buyers entering this historic district of Bradenton, some local realtors observed. 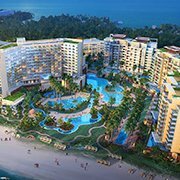 SARASOTA, FLORIDA, December 5, 2017 – Two recent Sarasota City Commission project approvals in Lido Key—the upgrade of the seawall of Sandcastle Resort at Lido Beach and the rehab of the Lido Beach pavilion—have brought added dynamics to the island’s property market. SARASOTA, FLORIDA, November 30, 2017 – The growth of the retail sector in our Southwest Florida region appears picking up pace, drawing momentum mainly from the remarkable growth of the local housing market both for new builds and existing Sarasota homes for sale. SARASOTA, FLORIDA, November 29, 2017 – Yes, it’s true. Sarasota is in the league of San Francisco, New York and Boston as the best regions in the country for investors and business-savvy folks to grow their wealth. A recent study conducted by MagnifyMoney, a media outfit of borrowing service provider LendingTree, is an eye-opener, especially for folks who are weighing the true worth of Sarasota homes for sale. SARASOTA, FLORIDA, November 28, 2017 – Realtors who specialize in homes for sale in Anna Maria may soon be engaging potential buyers booked at the Waterline Marina Resort and Beach Club. This new resort is set for a soft opening on November 29 and has already been accepting reservations from December 15 onwards. SARASOTA, FLORIDA, November 24, 2017 – In May this year, an industry analysis cited the North Port–Sarasota–Bradenton area as one of the “10 biggest comeback stories” from the 2007 U.S. real estate crash. 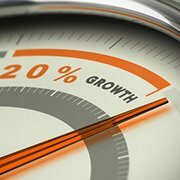 It estimated an 8 percent annual price growth for our region since the market bottomed out in 2011. SARASOTA, FLORIDA, November 22, 2017 – The city of North Port has joined the big league—this is the takeaway that local realtors brought home from their summit early this November. The October groundbreaking of the new spring training complex of the Atlanta Braves in the West Villages community district development in North Port certainly provided a platform in forging this idea that the city has leveled up with neighboring major search destinations for Sarasota homes for sale. SARASOTA, FLORIDA, November 21, 2017 – Prospective home buyers hunting for low-priced distressed properties in Florida will have to try a little harder. 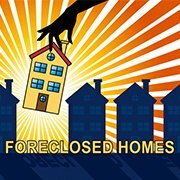 RealtyTrac, the Irving, California-based real estate information company, reported recently that September foreclosure filings in the state slipped by 39 percent from a year earlier and by 29 percent from August. SARASOTA, FLORIDA, November 13, 2017 – Combined closed sales of the Manatee and Sarasota home market dropped a hefty 16.8 percent in September, but local realtors aren’t worried about a crash. The decline in sales was mainly attributed to the business days lost because of Hurricane Irma. 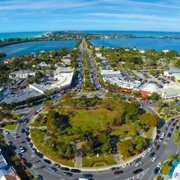 SARASOTA, FLORIDA, November 9, 2017 – The personal-finance website WalletHub has again awarded high marks to Sarasota in its 2017 analysis of the “Best Small Cities in America.” In this rating, Sarasota achieved 95th percentile, topped only by Boca Raton (98 th percentile) amongst other small Florida cities. SARASOTA, FLORIDA, November 3, 2017 – Local government funding of as much as $5.8 million is expected to be available later this fiscal year for funding redevelopment projects in Southwest Manatee County. Combined with the upbeat mood of the local property sector, this funding could provide some added lift to Bradenton homes for sale in this area. SARASOTA, FLORIDA, October 30, 2017 – Civic leaders in Parrish are taking steps to ensure that the major real estate developments planned in their community won’t alter the rustic charm that made the local residences as desirable as the homes for sale in Bradenton and Sarasota. 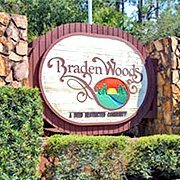 SARASOTA, FLORIDA, October 27, 2017 – Braden Woods, a charming neighborhood in East Manatee, is already favored by prospective buyers of Bradenton homes for sale for its rustic setting and wide open spaces. Pretty soon, this market appeal could be further boosted by the establishment of the Braden River Preserve, a heavily wooded acreage on Braden Woods’ southeastern periphery that also borders southwest of the River Club golf community. SARASOTA, FLORIDA, October 18, 2017 – Lakewood Ranch further builds up its standing as one of the biggest green master developments in the country, with its first solar-powered community rising on State Road 70 east of the Premier Sports Campus. 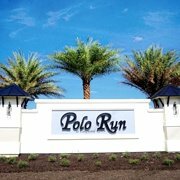 Dubbed as Polo Run, this environment-friendly community is being developed by Lennar, a prolific contributor to newly built Lakewood Ranch Homes for Sale. SARASOTA, FLORIDA, October 17, 2017 – Five years is the projected timeframe for the completion of the undergrounding of utilities in Longboat Key set to start in 2018. Longboat officials took the opportunity to piggyback on the permits and contractor of the FPL project to set the underwater cable conduits necessary for the island’s utilities undergrounding. SARASOTA, FLORIDA, October 12, 2017 – Sales efforts have gained momentum at Trevesta, with its four designated builders hyping up their bets in this new residential development in north Manatee County’s Parrish–Palmetto market area. 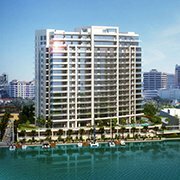 SARASOTA, FLORIDA, October 11, 2017 – It looks certain that there will be a change of address for the current market listings of the pre-construction Sarasota condos for sale at The Grande at the Ritz Carlton Residences. 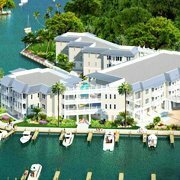 The proposed site for the high-rise condominium is being relocated to the 15-acre Quay property adjacent north of the Ritz Carlton complex, as per the plans that Quay developer GreenPointe Holdings submitted to the city in September. SARASOTA, FLORIDA, October 6, 2017 – A parcel of 207-plus acres in North Port that was formerly home to the Sabal Trace Golf & Country Club may soon be redeveloped and thus bring some added pep to Sarasota homes for sale clustered around this property. Its 18-hole golf links have been idle and overgrown for more than two years after the club was closed in May 2015. 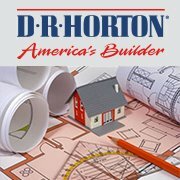 SARASOTA, FLORIDA, October 5, 2017 – The country’s top builder, D.R. Horton is poised to further expand its footprint in north Manatee where it already has a strong presence in Parrish, Ellenton and Palmetto, as well as in market listings of Bradenton homes for sale. SARASOTA, FLORIDA, September 27, 2017 – The Palm Beach Gardens-based Kitson & Partners has recently added Parkside as another neighborhood in its 17,000-acre Babcock Ranch project in Charlotte County, which is touted as the world’s first solar-powered city. 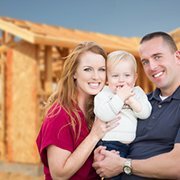 National homebuilding giant Pulte Homes is the designated builder for Parkside’s plat of 150 home sites. 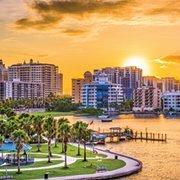 SARASOTA, FLORIDA, September 25, 2017 – There could be a marked shift in buyers’ preference from older pre-owned Florida homes for sale to newer builds or brand new construction in the aftermath of Hurricane Irma, some local realtors believe. The cut-off for prospective buyers wary about severe Irma-like weather disturbances would likely be those built after 1992. 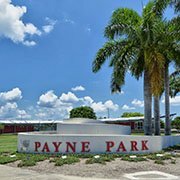 SARASOTA, FLORIDA, September 18, 2017 – Market interest on homes for sale in Parrish is poised to step up further particularly those in its northern communities like Copperstone, Lakeside Preserve and Lexington. Two looming developments could help pump up real estate buying and selling in this north Parrish area. One of these is the new school under construction on the southeast corner of Erie and Martha Roads, which has been officially named as North River High. 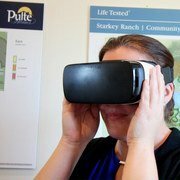 SARASOTA, FLORIDA, September 18, 2017 – Virtual reality (VR) tours of unbuilt model homes are now part of the marketing tools of the PulteGroup and its subsidiaries in the Sarasota real estate market. The VR system that this homebuilding conglomerate is now using for our region requires no headset or goggles. 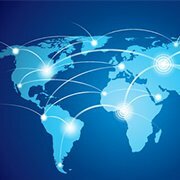 Users of its system can use either a PC or an android phone to view and interact on a particular model posted on online links that Pulte provides. SARASOTA, FLORIDA, September 12, 2017 – Much could still be expected from the market activity in Summerfield, the first community to be established in Lakewood Ranch in 1995. Since the start of 2017, some 60 pre-owned homes were sold here and about half a dozen residences were sales-listed in August alone. 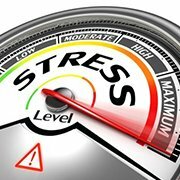 SARASOTA, FLORIDA, September 12, 2017 – Insurers’ financial strength particularly in Florida will be put to a stress test, industry analysts say, as a result of damage from Hurricane Irma which early estimates indicate will cost the insurance sector somewhere between $20 billion to $40 billion in claims. 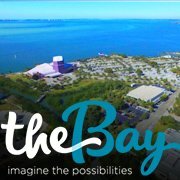 September 5, 2017 – It looks like we’re going to see home construction and market activity rising a notch higher north of Rosemary District as a ripple effect of the continuing implementation of Sarasota’s Bayfront Connectivity Plan. This plan initiated in 2009 aims to tame vehicular traffic on the Tamiami Trail (US 41) and make it more pedestrian-friendly, an initiative that should contribute greatly to many Sarasota homes for sale. 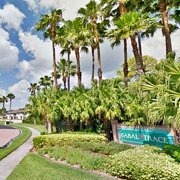 September 5, 2017 – Neal Communities, reaping continued strong sales in its Grand Palm development, has further stepped up its efforts to draw more prospective buyers of Sarasota homes for sale to this community in Venice. 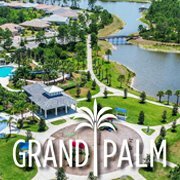 Towards this end, the Lakewood Ranch-based Neal recently launched eight new Grand Palm home designs, along with its opening of a new interactive Discovery Center and a new entrance to the community. 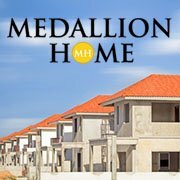 SARASOTA, FLORIDA, August 30, 2017 – National homebuilding giant DR Horton appears meeting head on the overtures of Bradenton-based Medallion Home to woo prospective buyers of Sarasota homes for sale in its new development, Waverley, on Proctor Road in east Sarasota. 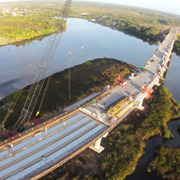 SARASOTA, FLORIDA, August 28, 2017 – The newly built Fort Hamer Bridge in Parrish is yet to open to traffic on September 23. However, thousands of runners have already crossed it and in the process helped provide some market mileage both for new and existing Parrish homes for sale in the area. 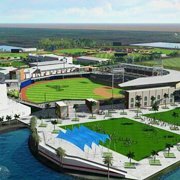 SARASOTA, FLORIDA, August 23, 2017 – Atlanta, Georgia-based builder Ashton Woods is definitely upbeat after having sold out its communities of Whitaker Park in Sarasota and Palma Vista in Bradenton. This August, it announced completion of its move-in ready builds in Palmer Park, Rosedale and Hammock Park, three local developments where it plans to further build up its inventory of Sarasota homes for sale. 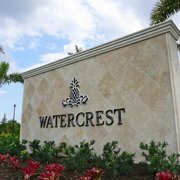 SARASOTA, FLORIDA, August 21, 2017 – Sales and marketing is in full swing at the new community of Watercrest in Venice, with this development’s clubhouse unveiled in late July and two spec homes completed this August ready for occupancy. Three new builds here were likewise sold recently, underscoring the resurgent buying interest on Sarasota homes for sale in Venice. New Amenities for Aquarius Club Condos Coming? SARASOTA, FLORIDA, August 17, 2017 – Some perks may be added to condos for sale at Aquarius Club in Longboat Key if the revival proposed for its neighboring Colony Beach & Tennis Resort eventually pans out. This revised plan includes two restaurants, a lounge with a bar, fitness facilities, a 15,700-square-foot spa and a salt water lagoon. All of these facilities will be open to Aquarius and Tencon residents if the Unicorp’s latest proposal is carried out. 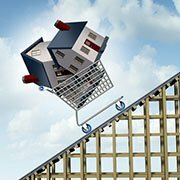 SARASOTA, FLORIDA, August 16, 2017 – The ranks of move-up home buyers in the months ahead are likely to grow larger in Manatee and Sarasota, thus requiring the services of real estate agents well-versed on lending programs tailor-fit for these type of buyers. Growth in home equity has been robust recently in the two counties, a sign that it’s an opportune time for homeowners to sell their residence and to buy a nicer replacement. SARASOTA, FLORIDA, August 10, 2017 – Historic Laurel Park and the new community of the Reserve at Honore are coming up with farmhouse-style residences courtesy of David Weekley Homes. 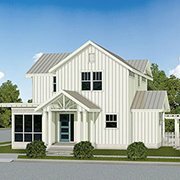 This Houston-based builder announced the plan for these new offerings amongst Sarasota homes for sale following the quick market absorption of a farmhouse-inspired home it completed recently on the block of 407 South Pineapple Avenue in its new community, Enclave at Laurel Park. What Drives New-Home Communities in Lakewood Ranch? SARASOTA, FLORIDA, August 9, 2017 – More than 10,000 residences sold as of January 2017, and the counting still mounts. This running tally ticking like clockwork pretty much lays out the track taken by Lakewood Ranch which is marking its 23rd anniversary in 2017. Located roughly between the cities of Bradenton and Sarasota, these projects creating new homes for sale in Lakewood Ranch largely emerged as part of the housing recovery following the Great Recession. SARASOTA, FLORIDA, August 8, 2017 – More home sales could be expected in West Villages even as this master development in North Port, south Sarasota County already reported 526 residences sold in the 2017 first half. 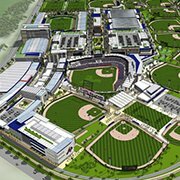 Further market momentum on Sarasota homes for sale in this sprawling property looms with the expected finalization of the construction of the Atlanta Braves Spring Training Complex within its enclave of roughly 10,000 acres. SARASOTA, FLORIDA, August 2, 2017 – The timing looks right for folks hunting for condominium units and townhouses in Sarasota, as the median sales price for these residential types eased in June on the back of solid gains in new listings of Sarasota condos for sale. SARASOTA, FLORIDA, July 31, 2017 – Personalized luxury custom homes now appear among the strongest segments of the Sarasota-Manatee real estate market. June sales of Sarasota homes for sale priced from the $600s up to the $900s advanced by 27.6 percent to 37 units, while residences sold at that same bracket in Manatee soared 38.5 percent to 36 custom-built dwellings. What Makes the Market Tick in East Sarasota? SARASOTA, FLORIDA, July 28, 2017 – East Sarasota communities on the flanks of the Bobby Jones Golf Club, such as Glen Oaks and Eastwood, are getting a generous share of the recent uptick of market activity on Sarasota homes for sale. SARASOTA, FLORIDA, July 26, 2017 – Home buyers who have focused their searches on existing Lakewood Ranch communities off University Parkway now have choices other than those at Miramar, Boca Grove and Edgewater Village. On Deer Drive running perpendicular towards south of University Parkway, selling started this July in the newly opened Shoreview in Lakewood Ranch Waterside. SARASOTA, FLORIDA, July 24, 2017 – Commercial development has stepped up in Charlotte County in the wake of significant gains of its residential sector in recent years. Just this July, a new Publix opened on the Burnt Store Promenade just west of Tamiami Trail (US 41). This supermarket’s old building here was completely demolished late last year. SARASOTA, FLORIDA, July 20, 2017 – The drive to create the first entertainment district in Bradenton has gained immediate traction less than a week after city officials unanimously approved several blocks in the heart of Old Manatee for this new lifestyle hub. SARASOTA, FLORIDA, July 18, 2017 – The residential community of Bellagio on Venice Island may soon be neighbors with a new area amenity. South of this neighborhood, which is host to charming Venice homes for sale, an 11.6-acre parcel is being considered for a mixed-use development consisting of a hotel and retail buildings. SARASOTA, FLORIDA, July 17, 2017 – A parking garage is set to begin construction in spring 2018 at St. Armands, host to a life and leisure hub helping drive market interest on Sarasota homes for sale. Two years in its planning stage already, this facility is projected to be completed late 2018. SARASOTA, FLORIDA, July 14, 2017 – River Plantation in Parrish has become many a realtor’s delight these days, with some 14 pre-owned residences sold since the start of this year, MLS records of Manatee and Sarasota homes for sale show. SARASOTA, FLORIDA, July 12, 2017 – Expect green standards to become a weightier factor amongst Sarasota homes for sale in the years ahead. This June, the members of the Sarasota City Commission in a resolution voted unanimously to support a community-wide campaign towards having 100 percent clean, renewable energy by 2045. SARASOTA, FLORIDA, July 10th, 2017 – Residents of Harbor Acres may soon get some relief from floods which have been a constant concern in their area especially during the hurricane season. Starting this July, “open throat” intakes along curbs in this bayfront neighborhood will be installed as part of county measures to address the flooding which this community typically experiences after heavy rains. SARASOTA, FLORIDA, July 7th, 2017 – Realtors’ recent statistics showed that closed deals on Sarasota homes for sale for May rose 8.7 percent to 822 units from 756 a year earlier. This is the strongest gain and the most number of homes sold in a month so far this year, following the advances ranging from 2.4 to 8.3 percent from February to April this year. 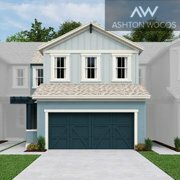 SARASOTA, FLORIDA, July 6, 2017 – This June, the Los Angeles, California-based homebuilder, put on the market three pre-construction single family homes in Oak Harbour, a new community off South Jones Loop Road in Punta Gorda. These new additions to recent listings of Charlotte homes for sale have floor areas ranging from 2,128 to 2,620 square feet designed with three bedrooms and priced between the $200s–$300s range. SARASOTA, FLORIDA, July 5th, 2017 – Sarasota has reinforced its claim as Florida’s Cultural Coast, one of the key factors boosting marketability of Sarasota homes for sale. This endearing reputation has been reaffirmed in a recent nationwide survey which showed a robust growth in the economic contribution of arts and culture activities in the county as well as in its neighboring Manatee. SARASOTA, FLORIDA, July 3, 2017 – The MLS of Sarasota homes for sale would likely have more listings coming soon from the Sylvan Lea community on Porter Road. This June, M/I Homes set the development of a 5.5-acre site next to this heavily wooded property. The Columbus, Ohio-based builder earlier in the month purchased the parcel for $4.4 million, as part of its aggressive expansion in the Sarasota–Manatee region. 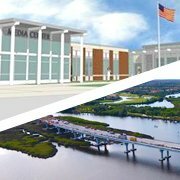 SARASOTA, FLORIDA, June 30, 2017 – Manatee has developed a strong reputation as a business destination in the South Tampa Bay area which consequently bring tailwinds as well for homes for sale in Bradenton. 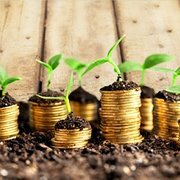 A new report from New York City-based SmartAsset, a financial guidance company, ranked the county No. 7 in its Florida investment index, besting neighboring Hillsborough (No. 8). The rest of the top 10 in the ranking are located in the northeast, central or panhandle parts of the Sunshine State. SARASOTA, FLORIDA, June 29, 2017 – Opportunities on career development and on growing a business, two factors contributing to the market health of Sarasota homes for sale, appear strong in the Manatee–Sarasota region, recent reports indicate. CareerEdge Funders Collaborative, a non-profit focused on providing opportunities for better jobs and wages in the two-county area, reported that from its 2010 inception up to 2016, $10.1 million was invested in the region’s workforce development. SARASOTA, FLORIDA, July 5th, 2017 – Prices of Sarasota condos for sale showed signs of softening in April, and this trend is likely to persist in the months ahead. Less than a dozen residential properties are currently for sale at the historic Longbeach Village, but it would have an additional 12 soon at the former site of the Longboat Key Center of the Arts which was closed in May. SARASOTA, FLORIDA, June 27th, 2017 – Manatee County is considering a $1.3 billion gross budget for its next fiscal year which could finally fund priority projects shelved earlier because of the Great Recession. The coming fiscal year marks the first time that the county has abundant discretionary income since that economic debacle induced mainly by the last housing bust. SARASOTA, FLORIDA, July 6th, 2017 – Prices of Sarasota condos for sale showed signs of softening in April, and this trend is likely to persist in the months ahead. Shoreview, the first community at Lakewood Ranch Waterside, is fast shaping up with one of its builders, Pulte Homes, having started construction of its first two models. 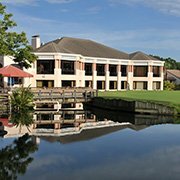 SARASOTA, FLORIDA, June 28th, 2017 – Boca Royale Golf & Country Club in Englewood looms as one of the best-selling properties of Neal Communities for 2017. In April, this Lakewood Ranch-based developer of Manatee and Sarasota homes for sale notched 14 sales in the 800-acre Boca Royale golf community, doubling the seven new homes it sold in March in this property. SARASOTA, FLORIDA, July 4th, 2017 – Market interest on the Harbour Isle community in Harbour Isle on Anna Maria Sound could pick up some more after selling 24 residences during the last 12 months. 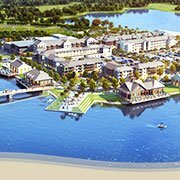 It was announced this June that a Margaritaville-style community will be developed in this 220-acre waterfront property off Manatee Avenue West, Bradenton. SARASOTA, FLORIDA, June 29th, 2017 – Prices of Sarasota condos for sale showed signs of softening in April, and this trend is likely to persist in the months ahead. 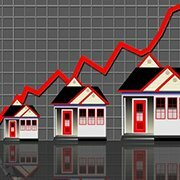 April median prices of condos and townhouses in the county slipped 1.4 percent to $215,000. 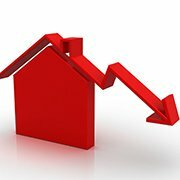 This marked the first monthly decline in median price since the start of 2017 after double-digit gains of as much as 17 percent during the first three months of the year. 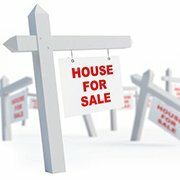 More Home Investors Back in Sarasota? 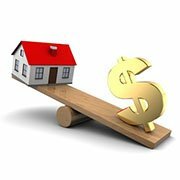 SARASOTA, FLORIDA, June 22nd, 2017 – Sellers of single family homes in Sarasota seeking a fast cash sale now appear to have better chances at sealing a quick deal, recent real estate data show. 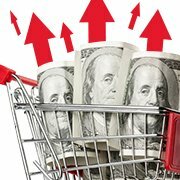 Cash sales on pre-owned residences in the county ramped up 6 percent in April, the first gain in 12 months, indicating renewed investor activity in the area. 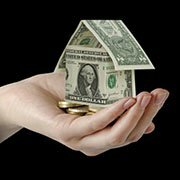 Cash sales on single family residences in the county have declined by as much as 32 percent in the last 12 months. SARASOTA, FLORIDA, June 21st, 2017 – More city services are coming to residents of North Port, the largest and fastest-growing municipality of Sarasota which is again expected to log the sharpest gain in property values amongst municipalities in the county this year. Such a leap could be further strengthened in the future by the recent city approval of a $12 million aquatic center at Butler Park at 6205 West Price Boulevard north of Heron Creek Golf and Country Club. SARASOTA, FLORIDA, June 20th, 2017 – National builder M/I Homes has announced that it will soon be building at the West Villages, a fast-growing master-planned development straddling the boundaries of Venice and North Port. Ranked amongst the top 20 U.S. homebuilders in the U.S., this company has set its sights on the master development’s Oasis at West Villages for its first venture in south Sarasota County. SARASOTA, FLORIDA, June 1st, 2017 – More roofs loom to be added at the Rye Road corridor that already teems with pre-construction sales listings at the Del Tierra and Rye Wilderness communities in East Manatee. In May, the members of the Manatee County Planning Commission voted unanimously to recommend approval of a new community tentatively called Rye Estates/Coddington Subdivision on a 120-acre site between Rye Road and Waterline Road. SARASOTA, FLORIDA, May 31st, 2017 – Expect a spike on market activity on Sarasota homes for sale around the Alta Vista neighborhood, Ringling Park and Paver Park. This east downtown area will soon join the flurry of construction in the city with the recent approval of Payne Park Village. Work on this new community is expected to commence before the end of 2017, according to its developer, Houston-based David Weekley Homes. SARASOTA, FLORIDA, May 30th, 2017 – Market activity could pick up some more at the condominium community of Wildewood Springs in South Bradenton where some 20 units were sold since January this year. The recent improvements at the Parkwood Professional Center on 26th Street a short distance east of this property could further attract buying interest not only on its available units but also on other nearby Bradenton real estate for sale. SARASOTA, FLORIDA, May 25th, 2017 – Readings on the market of Sarasota homes for sale in communities flanking Beneva Road, such as those in Glen Oaks and Fairway Oaks must be upbeat, as two nearby shopping centers off this road corridor are on an expansion mode. One of these commercial hubs is Sarasota Commons at 935 N Beneva Road which is now aggressively marketing a potential expansion opportunity of as much as 18,000 square feet on its northern end. SARASOTA, FLORIDA, May 24th, 2017 – Residents and developers of communities off East Laurel Road in Venice are keeping a close eye on a planned workforce housing on Knights Trail Road and its potential impact to local property values. This project cleared its first hurdle this May with the Venice Planning Commission approval of a rezoning of the housing site to allow construction of up to 18 units per acre. SARASOTA, FLORIDA, May 23rd, 2017 – Bradenton homes for sale around the Interstate 75 interchange at State Road 64 may pick up some steam from the interchange’s long-anticipated safety improvements which were finally given the green light recently. 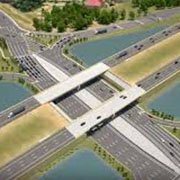 Costing $39.1 million, the work on the interchange calls for its reconfiguration so that it will handle the traffic far better than its current design, the Florida Department of Transportation (FDOT) said. SARASOTA, FLORIDA, May 18th, 2017 – The location of Bradenton Beach condos Sunbow Bay, Sandy Pointe and Westbay Cove promises to get even more scenic, judging from the aesthetical design recommended for the new Anna Maria Island Bridge planned for construction just north of these properties. The Florida Department of Transportation (FDOT) has already determined that a high-level fixed bridge will replace the current Anna Maria span built in 1957 at the western end of SR 64. SARASOTA, FLORIDA, May 17th, 2017 – Prospective buyers of homes for sale in Cortez will find no builds newer than the residences built in the 2000s at Harbour Landings, but this could soon change. The new construction, moreover, won’t be coming from just at the Peninsula Bay approved last year but also from a revived development west of it. 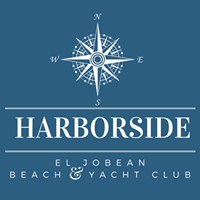 Early this May, plans were submitted for Hunters Point Resort & Marina, a small master-planned development at 124th Street Court West just north of Cortez Road West and east of Cortez Bridge. 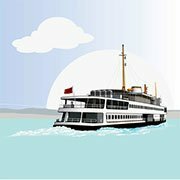 SARASOTA, FLORIDA, May 16th, 2017 – Will daily commuters between Sarasota and Anna Maria Island have ferry and water taxis part of their commuting habits? Two entrepreneurs are convinced of this trend picking up and are investing on it, ventures that could help ease road traffic between the two popular places. One of the investors, Paradise Boat Tours owner Sherman Baldwin, is set to open a ferry this July specifically for local day-trippers from Sarasota to Anna Maria. 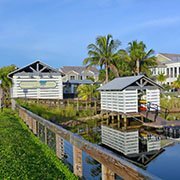 SARASOTA, FLORIDA, May 11th, 2017 – More inventory becoming available is driving the home market higher in Punta Gorda, Port Charlotte, and North Port, according to Peter Rivera, president of the realtors’ association covering the south Sarasota County areas. Rivera, in a recent media interview also attributed recent market gains in their territory to home buying ahead of foreseen hikes in interest rate and more buyers engaging the market following the election. SARASOTA, FLORIDA, May 10th, 2017 – The West Palm Beach-based Kolter Group, after entering The Vue, The Mark and The Grande at the Ritz-Carlton in the derby of Sarasota condos for sale, has launched its first community of single family homes in the county. Called Artistry Sarasota, this new residential development is located at the eastern end of Palmer Boulevard where it links to Iona Road east of Bee Ridge Extension. SARASOTA, FLORIDA, May 9th, 2017 – No warehouse will be built near Celery Fields, a piece of good news for residential property owners with recent market listings close to this popular wetlands preserve in east Sarasota County. The developer of the warehouse has informed the county that it is terminating the contract to buy the planned facility’s seven-acre site west of Celery Fields. 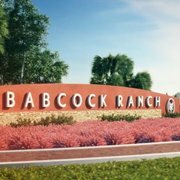 SARASOTA, FLORIDA, May 3rd, 2017 – Marketing for the solar-powered town Babcock Ranch in Charlotte County has shifted to overdrive with event after event being held to promote this new development off Florida State Road 31. This April, a twice-a-week free live music show was launched at the Founder’s Square in the property’s downtown district. SARASOTA, FLORIDA, May 2nd, 2017 – The active listings inventory of single family homes continues to grow in the Sarasota region even as the peak spring selling season is now on its tail-end. 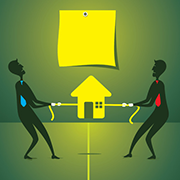 Splitting the price segments of resale properties, prospective buyers of Sarasota homes for sale will find more choices in the $200,000–$299,999 price range with a total of 739 listings as of March. SARASOTA, FLORIDA, April 27th, 2017 – Construction of new homes has stepped up at Esplanade Golf & Country Club at Lakewood Ranch, with its builder-developer Taylor Morrison apparently egged on by recent strong sales of new builds in golf communities within the LWR master development. Turnover of Lakewood Ranch homes for sale were brisk within the Esplanade community itself which opened its Wellness Center in June last year as a further stimulus to buyers. What’s New in Waterfront Communities? SARASOTA, FLORIDA, April 26th, 2017 – Construction of waterfront homes for sale in Sarasota and Manatee is on an upward trajectory, with new builds rising at several existing neighborhoods and more expected in the proposed Aqua by the Bay in West Manatee. Bruce Williams Homes, a family-owned local home builder, is currently offering three pre-construction homes at the boating community of Winding River. SARASOTA, FLORIDA, April 25th, 2017 – The city center of Bradenton is fast shaping up as the downtown that the locals no longer used to know. This marked shift is for the better though. Way much better especially for Bradenton real estate for sale. One face of the downtown’s transformation is happening right east of the River Dance condominium at 3rd Ave West. 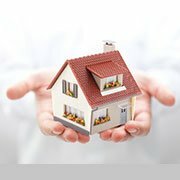 SARASOTA, FLORIDA, April 20th, 2017 – An advisory committee tasked to draft incentives for affordable housing in Manatee County has come up with a four-point plan which could soon help expand local home buying choices at easier price points. Manatee home buyers currently searching for affordably priced options would be typically confined to combing through resale properties in older communities. SARASOTA, FLORIDA, April 19th, 2017 – Golf Course Road, host to new and thriving neighborhoods in Parrish like Twin Rivers and Gamble Creek Estates, is poised to add another exciting community on its stretch running less than four miles eastward from Fort Hamer Road to Rye Road. Neal Communities, in end March, announced that it will begin development this year of the acreage of the Palmetto Pines Golf Course into a gated community of 610 homes. SARASOTA, FLORIDA, April 18th, 2017 – Include townhouses amongst the residential types in the Manatee‒Sarasota real estate market where activity has recently shifted to high gear, matching the recent surge in this segment on the national level. 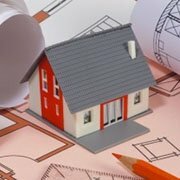 In its most recent U.S.-wide estimate covering 2014 to 2015, the National Association of Home Builders (NAHB), noted a 17.8 percent year-over-year increase in construction of townhouses. SARASOTA, FLORIDA, April 13th, 2017 – Picks on homes for sale are quite few in South Oak and Plantation Bay Estates, neighboring communities of Feld Entertainment Studios at the border of Palmetto with Ellenton in north Manatee. This dearth of sales listing, however, could soon be over as the long-delayed Sanctuary Cove housing project in this area is girding to start home construction. SARASOTA, FLORIDA, April 12th, 2017 – Public park facilities, long in the wish list of folks in northeast Venice, is a need soon to be filled and, in the process, also help spur market interest in old and new communities in this fast-growing part of south Sarasota County. One project that the city government of Venice is now exploring is a dog park and pickle ball court in a privately owned land at 2203 Knights Trail Road, which is currently sales-listed for $2.1 million. SARASOTA, FLORIDA, April 11th, 2017 – The current building boom at the Rosemary District continues to provide enticing alternatives to downtown Sarasota condos for sale with the recent market launch of units at the mixed-use Zahrada and the groundbreaking for phase two of Valencia at Rosemary Place. Zahrada, which means garden in Czech, is comprised of just six residential units designed as three-story condos with living areas of up to 3,542 square feet. SARASOTA, FLORIDA, April 6th, 2017 – An inspiring cultural dimension will soon be added to the communities and neighborhoods of Bay Isles as plans are being firmed up for a new facility nearby that would replace the Longboat Key Center of the Arts set to close this May. The arts center’s site in Longbeach Village at the north end of the island is being sold to a private property developer. SARASOTA, FLORIDA, April 5th, 2017 – Pricing advantage for Sarasota condos for sale has tilted in favor of buyers and has grown more attractive particularly to investors and snowbirds in search of a seasonal home. 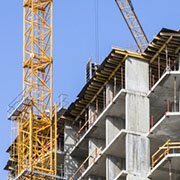 In January‒February, the inventory of multifamily homes in the county including condominium units rose by about 26 percent. This gain sent active listings to nearly 2,000 units as of the last count this February and put months’ supply of inventory to 6.2 months which already indicates a buyers’ market. 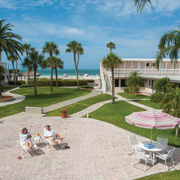 SARASOTA, FLORIDA, April 4th, 2017 – Initiatives at updating and modernizing key areas in The Meadows Country Club, a prime destination for Sarasota homes for sale for over 40 years, have gained some traction recently. The Sarasota County Commission approved this March rezoning of two parcels in this mature country-club community, paving the way for additional dwelling units and improvements in amenities. SARASOTA, FLORIDA, March 30th, 2017 – Count builder DiVosta Homes amongst those reaping positive vibes from the extension of Honore Avenue to Pinebrook and Laurel roads in South County, a new route which opened in April last year and helped bring added zip on Sarasota homes for sale. Sales in this homebuilder’s Sandhill Preserve community, located off the Honore Avenue corridor in the southern Palmer Ranch area, has been remarkably strong in the past 12 months. SARASOTA, FLORIDA, March 29th, 2017 – Riviera Dunes in Palmetto is likely to draw more market attention moving forward this 2017. This eclectic community rides on more besides the momentum of strong sales last year and draws added market mileage on the recent uptick of development initiatives in the city. Two of these potential growth-drivers are set to open right at the outskirts of Riviera Dunes. SARASOTA, FLORIDA, March 28th, 2017 – Prospective home buyers who missed out on affordable choices at Palmetto in North Manatee now has another chance at two nearby new communities—Trevesta and Willow Walk— where several affordably priced spec builds were recently put on the market. 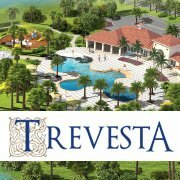 Trevesta, the larger of these two, is a master-planned community being developed by Kolter Land Partners, an affiliate of the West Palm Beach-based Kolter Group which broke ground on this project last year. SARASOTA, FLORIDA, March 27th, 2017 – Recent market activity has picked up significantly at Rosedale Golf & Country Club where some 16 sales have been posted since January and five newly completed spec homes sales-listed just this March. These new listings are all located in the second-phase add of this golf community in the north Lakewood Ranch area. Their home sites are part of a gated neighborhood, the Links at Rosedale, just off the southwest corner of 44th Avenue East and Lakewood Ranch Blvd. 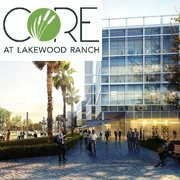 SARASOTA, FLORIDA, March 23rd, 2017 – The lifestyle looms to turn even much more fun and cooler at Greenbrook Village and Bridgewater as a new park will soon rise near these two communities in Lakewood Ranch. Called Patton Park, it is the largest of four parks set for construction and scheduled to open this year as added attractions to Lakewood Ranch homes for sale. SARASOTA, FLORIDA, March 22nd, 2017 – Spice Bay is poised for an even larger presence in the upbeat luxury home market in Siesta Key this year after a record sale was closed in this gated community in January. Nautilus Homes, the builder of this recently sold residence, has broken ground for a new Spice Bay construction. Meanwhile, two other custom builds for this community are on the drawing boards of London Bay Homes.